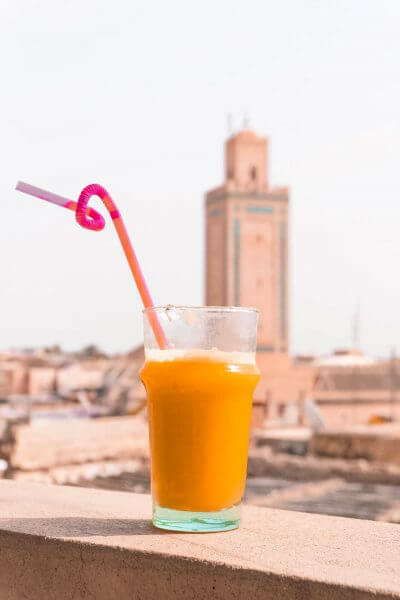 Looking for tips on things to do in Marrakech? Marrakech is a city with great colors and vibes. It’s a great mix of European, Middle Eastern and African culture, which is unique in Morocco. The perfect destination for any type of traveler. 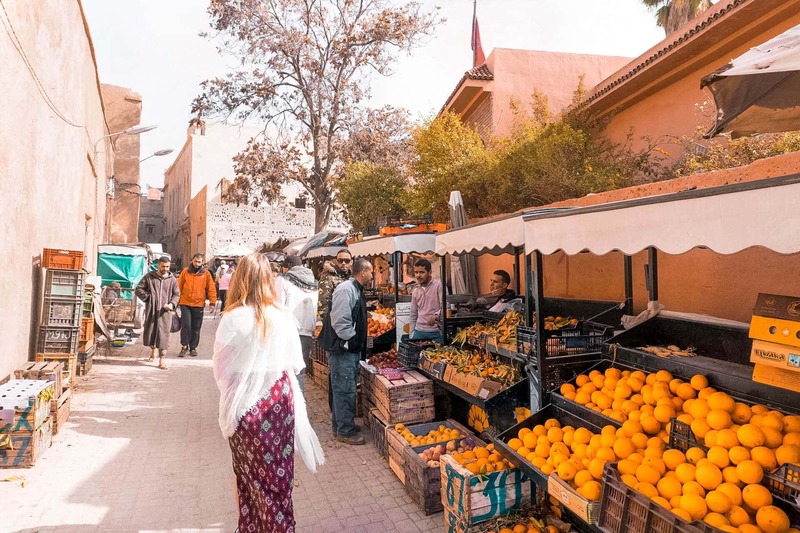 It’s is known for its markets and shopping in the Medina (old city) but there is so much more to do in Marrakech. 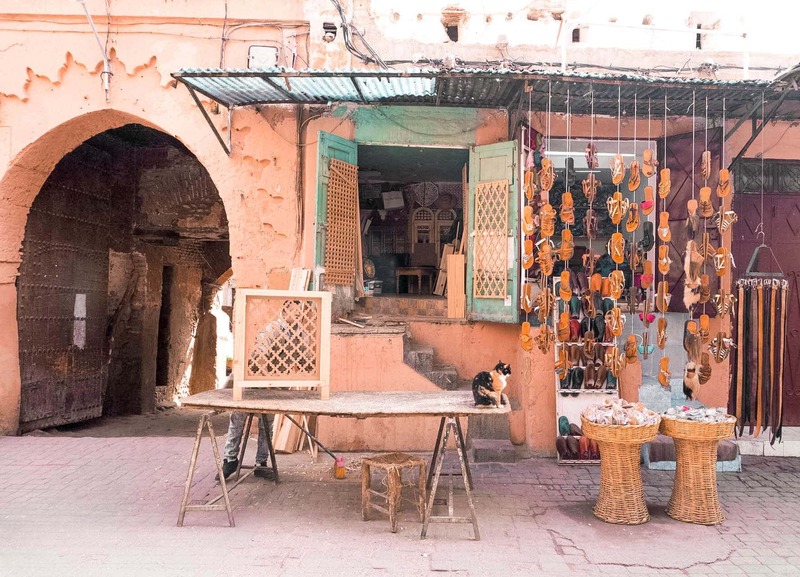 Read about the top things to do in Marrakech. 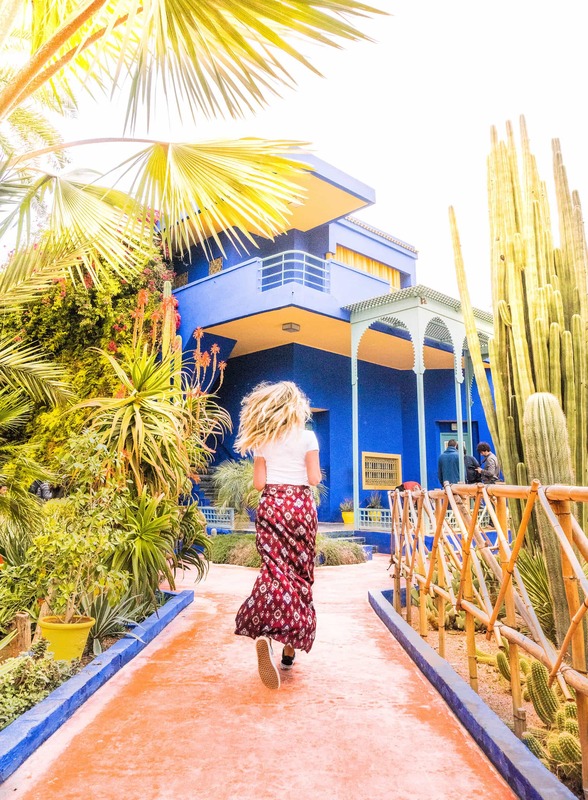 The beautiful garden of Yves Saint Laurent called Majorelle Gardens. Opened in 2001 and one of the big tourist attractions in Marrakech. The beautiful deep ocean blue color makes every photographer happy. Entrance is 25 DH which is around $5. Go as early as possible to avoid the crowds. Look close and be amazed by every little detail in this palace. It leads into the gardens with palm trees. This huge palace was once set up for this sultan as a place for personal use. 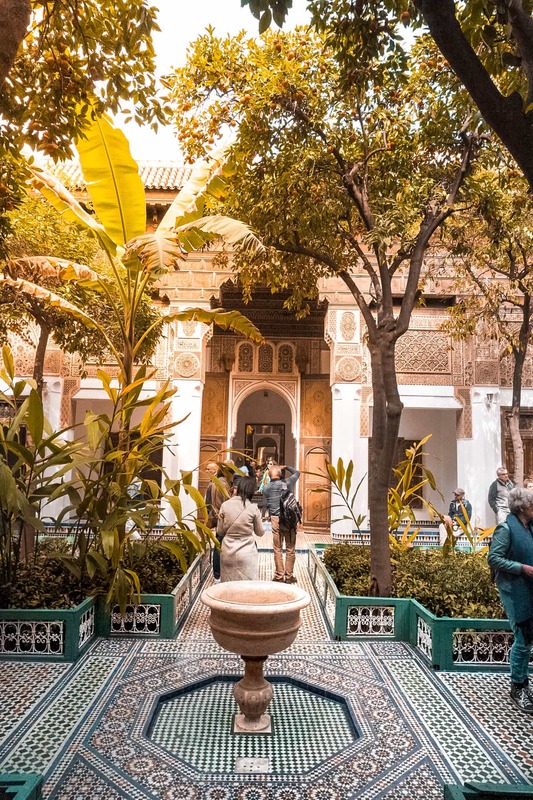 This former Islamic school is the largest Medersa in whole Morocco. It’s located near the medina and is a real favorite among tourist. 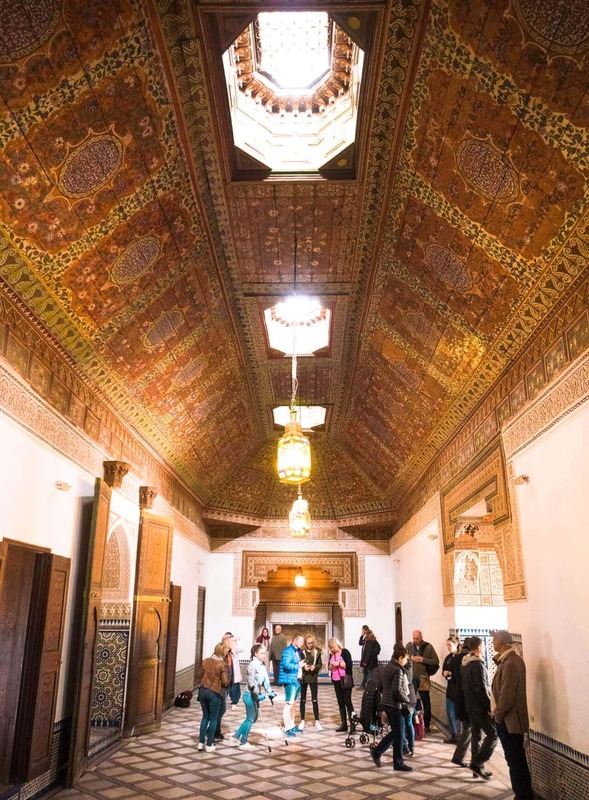 Like the Bahia Palace, the architecture in Ben Youssef is incredible. Guesthouses, better known as riads, are probably the most beautiful thing we’ve been in. On the outside, houses are all sand colors and some located in smelly streets. But once people open their door, you will step into a whole different world. Beautiful colored tiles, birds flying around, a turtle as a pet, a pool in the middle and even kinder people. Throw the map you just bought in the garbage bin because the medina is a real maze. 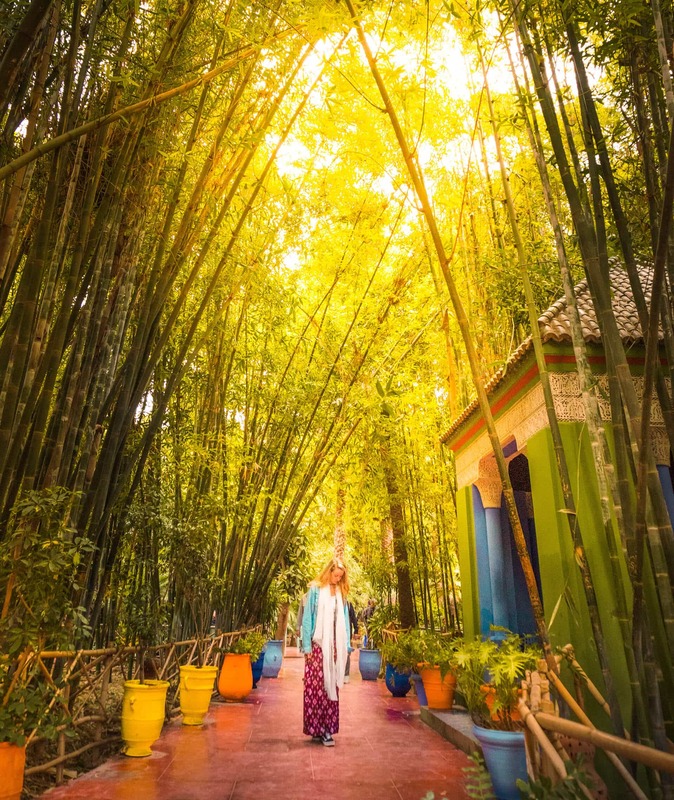 Enjoy getting lost and wander around through all the beautiful handicraft shops. Make sure to bring your camera! Tip: when buying anything, don’t hesitate and bargain. Prices are doubled and shop owners are ready to bargain about the price. The world famous square where the market is and all the fresh orange juice and street food stalls are located. 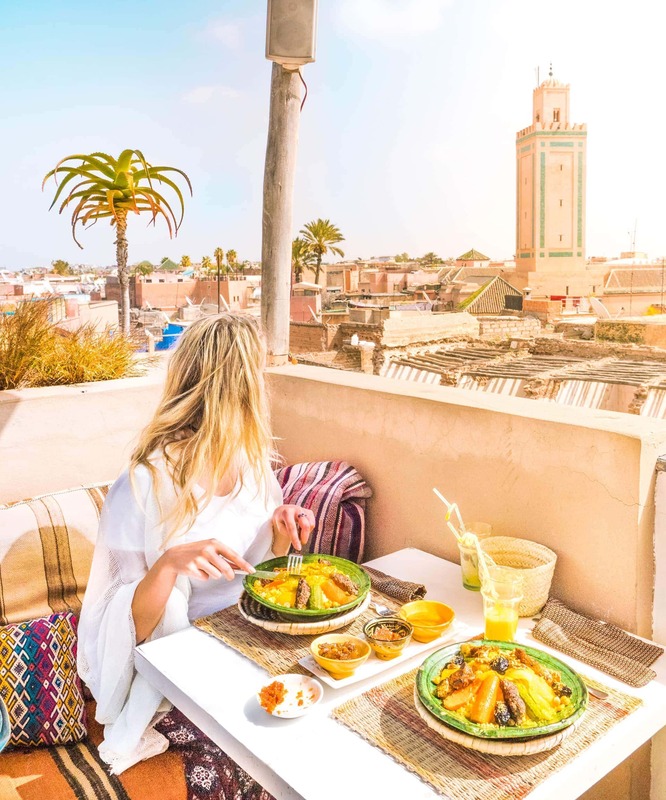 It can get quite busy so if that’s too much for you to handle, escape to one of the many rooftop cafes and restaurants overlooking the square. 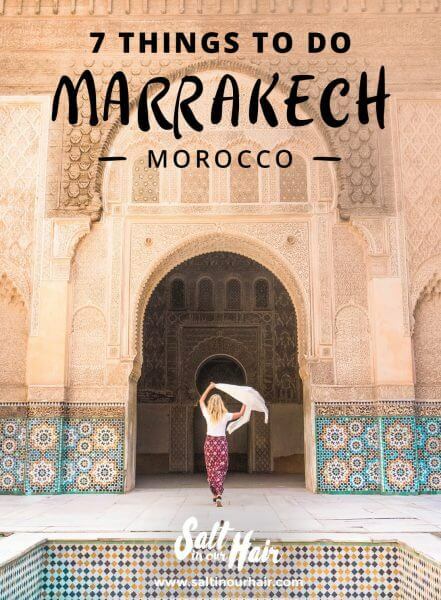 Marrakech has a great selection of traditional and fusion restaurants that serve up tagine and couscous. Our personal favorite was Cafe Atay. Cafe clock was more of a fusion one, but also very good! Marrakech is easy to reach by train, plane or bus. It has an international airport and roads in Morocco are perfect. You can easily take a Sahara desert tour from Marrakech or visit Fes via the train. Riads in Marrakech are beautiful, these were our favorites and see all riads in Marrakech. A beautiful riad in the center of Marrakech. The most 'homesh' place we've been in Morocco!